The Araon is at last on it´s way south now, cruising at 15 knots. My sea legs got tested right away as there is a bit of swell now. No signs of nausea so far, we will see how it goes. To mobilize a ship this size takes some effort. A considerable amount of boxes must be loaded onto the ship and brought to their right places. It was a relief to finally set off and leave dry land and begin the long journey after all the planning and packing. Quite soon after the departure we were on the big ocean with the 3 meter swell giving Araon some heave. From the aft deck I could watch an amazing air show given by albatross and storm petrels. 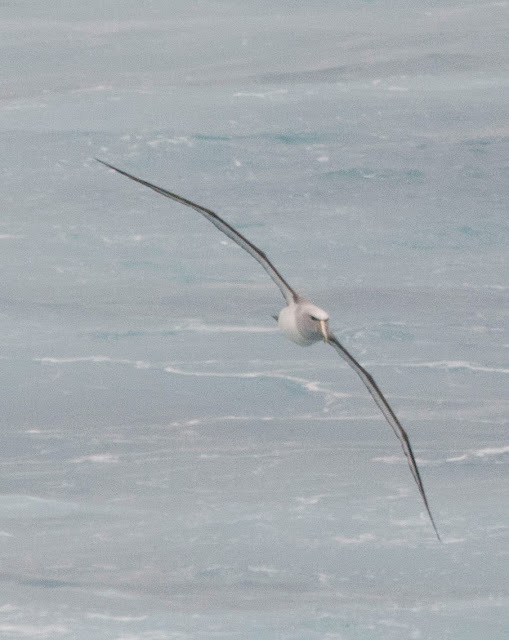 Being a novice on birds, I haven´t yet figured out what kind of albatross they were. It will take us around a week to reach the Amundsen Sea. During this time I suspect we will be quite busy with preparations and planning for the moorings. We need to have a good work plan and all our gear sorted and in good condition to make the retrieval and redeployment of the moorings run as smoothly as possible. That´s all for now, god jul everyone!